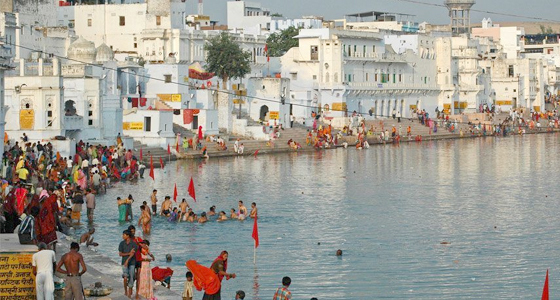 Pushkar, the only land in the universe holding the temple of the creator of the universe i.e. Lord Brahma, is located in Rajasthan state of India. The place has its own charm and known worldwide for its Cattle fair that take place every year. 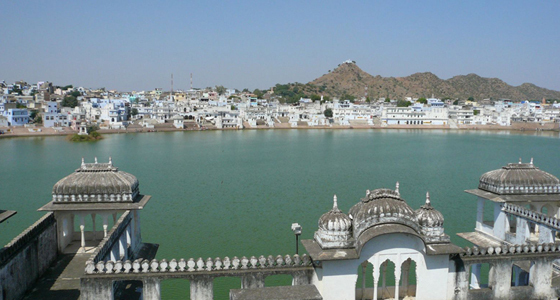 Take a dip in the holy Pushkar Lake, the worship place of Lord Brahma, visit the Lord Brahma temple, the only temple in the world devoted to the creator god Brahma and explore the colourful local market of Pushkar. At Tour My India, we offer a well organized Jaipur Pushkar Weekend Tour that will take you close to every nook and corner of the Pushkar town. We will drive to Pushkar early in the morning. On arrival, check in at the hotel. After fresh-n-up, rest of the day is free for leisure or you can take pleasure of recreational activities in the hotel. In the evening, we will go for a camel or tractor ride to the nearby village and desert. Later, we will come back to the hotel to enjoy cultural event including local Folk dances followed by dinner and an overnight stay. 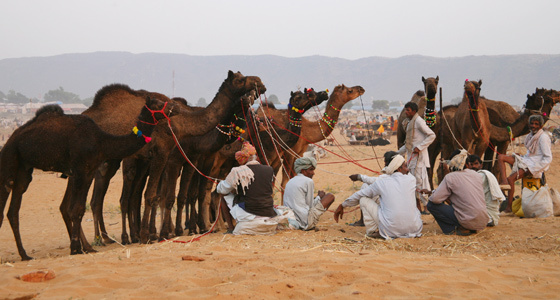 Pushkar is known for its great Pushkar temple, the only temple of the creator of the world and its famous Cattle fair. 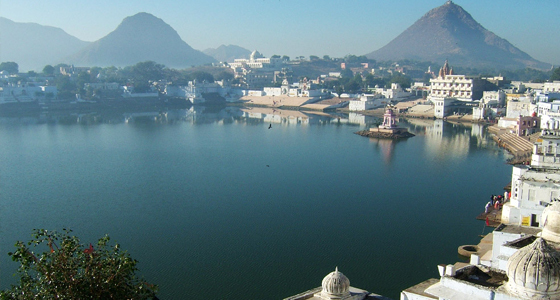 In the morning, we will visit the famous Pushkar Lake that is believed to be the one and only worship place of Lord Brahma in the whole universe. We will also visit the Lord Brahma temple and Cattle fair ground where the world famous Pushkar Cattle Fair held every year. After breakfast, the rest of the day is free for leisure or you can visit the local market or enjoy hotels recreational facilities. An overnight stay at the hotel. In the morning after breakfast, we will drive back to Jaipur. On arrival at Jaipur, we will drop you at your own desired place.